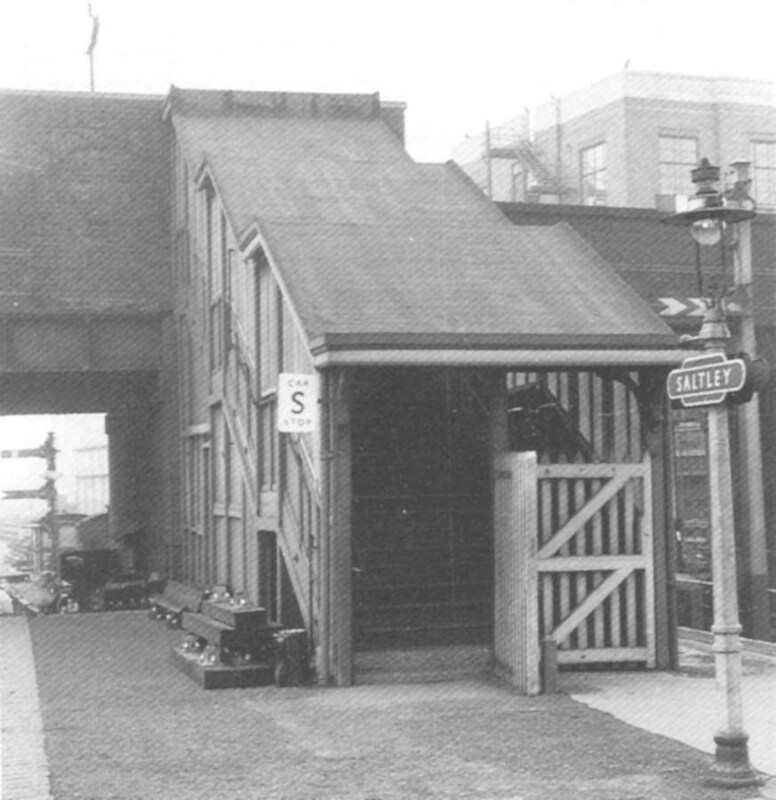 View of the bottom of the steps which led down from Saltley Viaduct which were also gated. Bob Essery writes that this view shows the Saltley Junction passenger line down home signal had been moved to the other side of the bridge (compared to that seen in image 'mrsalt1470'. The white board with the 'S' was a late 1950s British Railways addition used to sign post the driver of a Diesel Multiple Unit set where to stop.